Custom software experiences designed around how your business works. User experience design goes so much further than look-and feel — this process provides you with a functioning model of the software which simulates how it works. High attention to detail when it comes to usability optimization ensures that your end-users will know how to use the software without any training. Experience your software before a single line of code is written. Receive frequent design updates without having to waste costly time. Gather valuable feedback from real users and fine tune your design. By creating a useful experience first, we ensure the design does what users need. 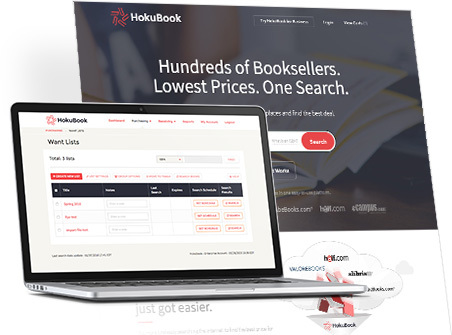 We designed and built this incredible web application that offers dynamic textbook sourcing from top marketplaces with the convenience of traditional "bin & hold" service.